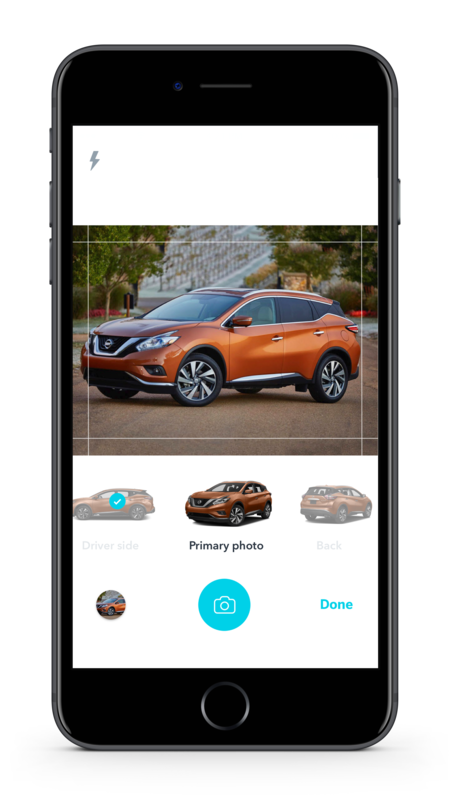 Blinker is a new, free mobile app that helps anyone buy, sell, finance and refinance vehicles themselves with the snap of a photo. The app is now expanding its platform from Texas and Colorado to California and Florida. Blinker was founded by CEO Rod Buscher, and here is how it works. • Take a photo of the back of the vehicle. Blinker’s patented, image-recognition technology, will provide you with an immediate Black Book™ value of the car. • List the vehicle for sale on Blinker’s Marketplace. Blinker also allows you to list the vehicle on dozens of other marketplaces with a tap of a button. The Blinker app makes it safer to sell to another person, verifying the identity of every buyer and seller, and providing ownership records of every vehicle. Blinker ensures that sellers receive funds directly through the app in as little as one business day. Best of all, there are no fees for buyers or sellers, and no middlemen taking a cut – giving everyone the money they deserve. In fact, Blinker sellers earn an average of $2,900 more than trading in at the dealership. For specifications when shopping for a car on Blinker, you can sort and filter your search by price, mileage, year, and make/model. Other search filters include car color, mileage, transmission type, seating capacity, drivetrain, and fuel type. • All Vehicles listed on Blinker have a CARFAX Report™. • During a Purchase, Blinker Transfers Payment into Seller’s bank account securely through App. Blinker transfers payment into the seller’s bank account securely through the app. Blinker also guides the buyer through the paperwork and prepares them for registration at the DMV. Plus, buyers and sellers can reach the Blinker support team directly by phone or email for help. Blinker buyers save an average of $2,000 more than purchasing at the dealership. By simply snapping a photo of their driver’s license, buyers can pre-qualify for a Blinker car loan instantly, without affecting their credit score. Buyers are also able to customize their down and monthly payment terms. Blinker loans are offered at rates competitive to traditional banks and credit unions. With Blinker, car owners never have to step foot in the bank or dealership to refinance their car again. 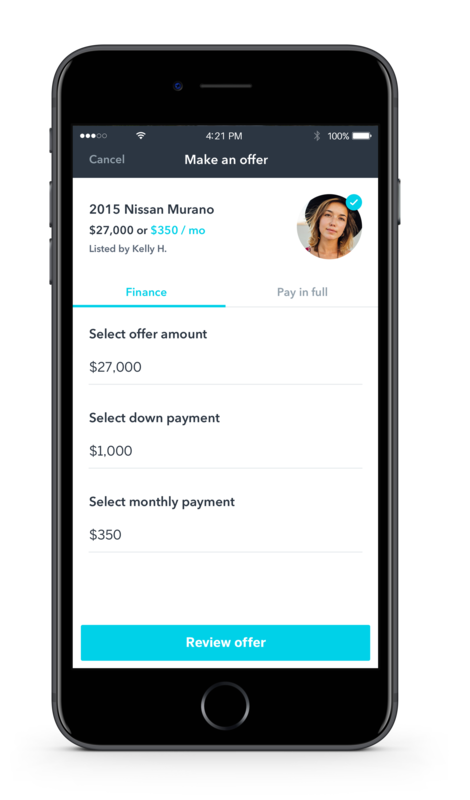 By snapping a photo of their car and driver’s license, owners can instantly view lower monthly payment or cash back options without affecting their credit score. When it comes to filling out paperwork, Blinker allows owners to sign all important documents electronically and makes their loan official right through their phone. With competitive rates and no hidden fees, Blinker is saving people an average of $130/month, adding up to thousands of dollars over the life of their loan. Blinker’s user-friendly platform is easy for anyone to use, no matter how tech savvy they are. Most importantly, customers can save thousands of dollars with every transaction because there are no middlemen taking a cut of vehicle sales. In fact, Blinker has saved buyers and sellers an average of $3,000, and customers who refinance an average of $127/month on their car loan. Since launching in 2016, the company has generated over 175,000 downloads, 8,000 listings and over $44,000,000 in vehicle sales. Buyers can pre-qualify for financing instantly without affecting their credit score by visiting prequal.blinker.com or snapping a photo of their driver’s license with the app. 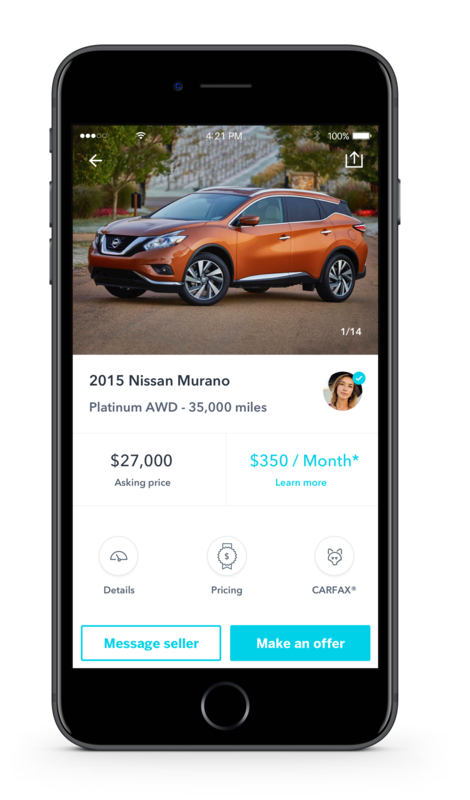 Once pre-qualified, buyers can browse the Blinker Marketplace and see what their monthly payment would be on vehicles listed by other people. Buyers can also invite a seller from another marketplace list their vehicle for sale and finance it through the app. Additionally, Blinker makes it safer to buy a car from another person, verifying the identity of every seller, providing a free CARFAX® history report on every vehicle and offering an optional 20-year / 30,000 mile service contracts on qualifying cars that covers mechanical, electrical and digital components. Throughout his career, Blinker CEO and founder Rod Buscher witnessed the anxiety every consumer goes through when buying and selling cars first-hand. Recognizing that there had to be a better way, Rod decided to leverage his decades of automotive industry experience to solve this challenge. He made it his mission to create a platform that would make the process of buying, selling and financing used cars as quick and simple as snapping a photo on their smartphone. Thus, Blinker was born. To learn more about the company, visit blinker.com. To download the app for free, search “Blinker” in the App Store or Google Play Store.